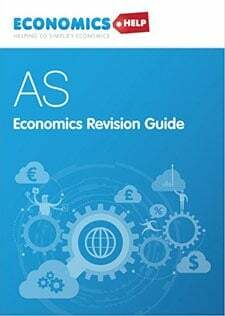 Definition Quantitative Easing. This involves the Central Bank increasing the money supply and using these electronically created funds to buy government bonds or other securities. 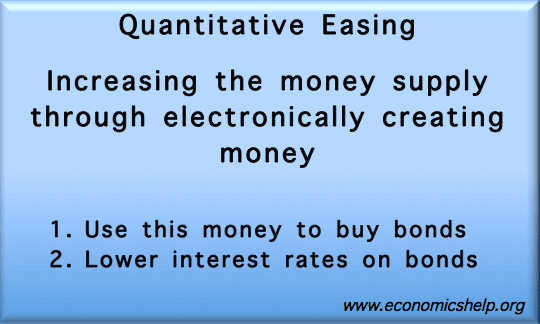 Quantitative easing is a form of expansionary monetary policy. It is usually used in a liquidity trap – when base interest rates cannot be cut any further. 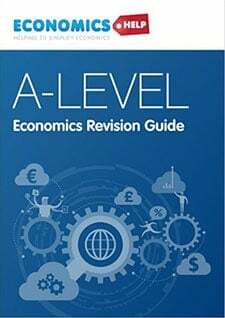 Increase economic activity – Q.E. aims to encourage bank lending, investment and therefore help improve the rate of economic growth. The Central Bank uses these extra reserves to buy various securities. These include government bond and corporate bonds. Increased liquidity. Banks sell assets (bonds) for cash. Therefore banks see an increase in their liquidity (cash reserves). In theory, the bank will then be more willing to lend to customers. This lending will be important for increasing investment and consumer spending. Lower interest rates. Buying assets reduce their interest rate. Lower interest rates on these securities may also encourage banks to lend rather than keep securities which are paying low interest. Higher lending should help improve economic growth. Increase inflation. Quantitative easing may be pursued when there is underlying core-inflation close to 0%. 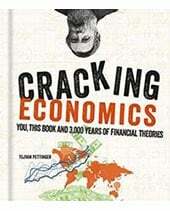 0% inflation and deflation can lead to lower spending and economic growth. Therefore, aiming for a higher inflation rate can encourage spending. Did quantitative easing work between 2008-12? 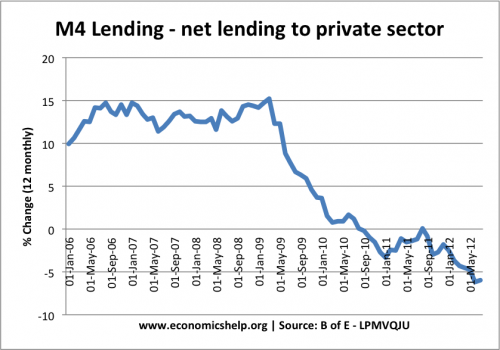 Yet, the impact on M4 lending was limited. In 2012, we saw negative growth in M4 lending, despite the £350bn of extra securities. After quantitative easing was introduced in 2009, there was a partial recovery. But, economic growth was very slow. 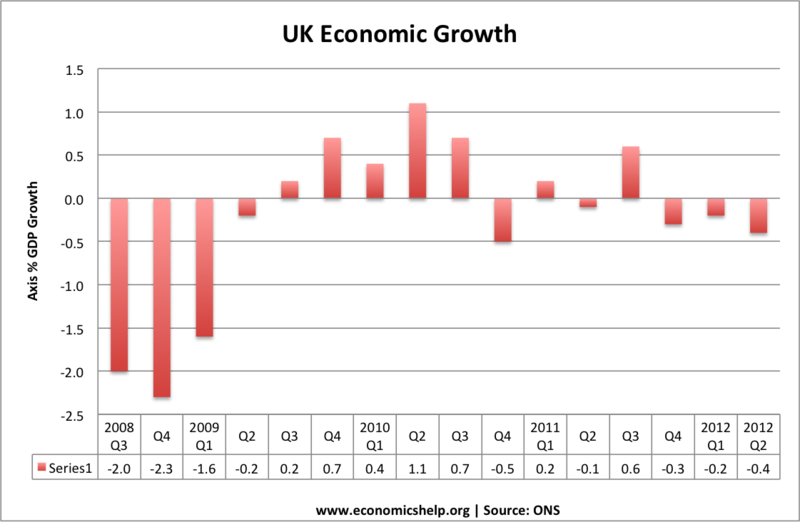 The UK entered a double-dip recession in 2012. However, without quantitative easing, the recession may have been even deeper. 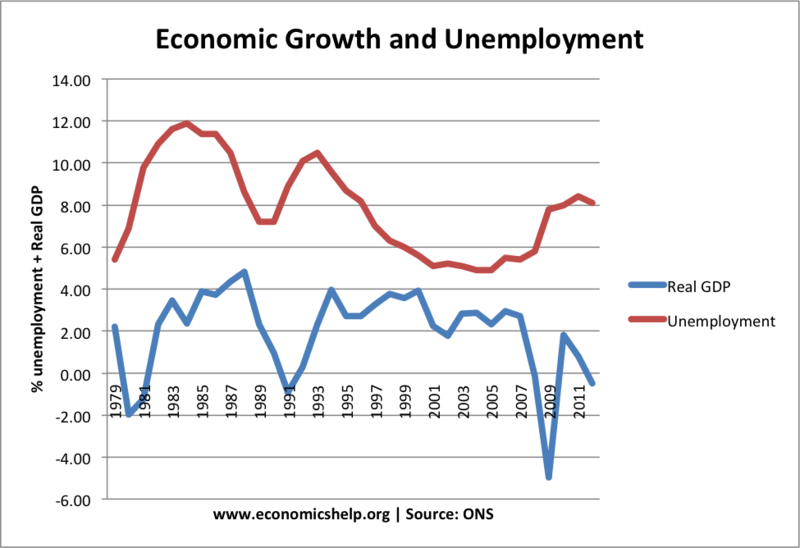 UK unemployment was lower than Eurozone where quantitative easing didn’t take place. 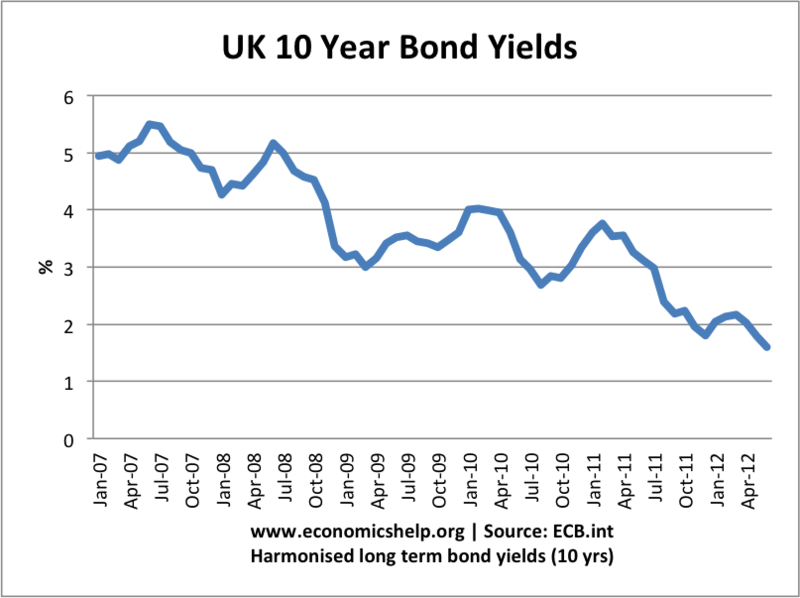 UK bond yields fell during the period of quantitative easing. This made government borrowing cheaper, and in theory, encourages more profitable investment. However, bank lending was very slow to recover, suggesting quantitative easing was relatively ineffective in boosting bank lending. Quantitative easing is often suggested as a solution to a liquidity trap. A liquidity trap occurs when cutting interest rates fail to boost economic activity. This is because despite low-interest rates, banks are reluctant to lend and/or consumers are reluctant to borrow. 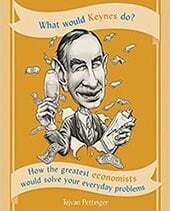 Quantitative easing is also seen as a solution to deflation. During a period of deflation (falling prices) there is a reduction in consumer spending, often causing a recession. Quantitative easing can help increase inflation closer to the government’s inflation target of 2%. Is Quantitative easing like printing money? Yes, if the Central Bank creates new money (electronically increase their bank reserves) then the effect is similar to printing money. They just avoid the hassle of physically printing money and depositing it in their own bank account. In some cases, Central banks borrow money to buy government securities. Or they buy securities with existing this money. This is not actually increasing the money supply. Increasing money supply can cause inflation. However, in a liquidity trap, an increase in the monetary base may have very little impact on inflation because banks don’t lend their bank reserves. See: Inflation and quantitative easing. Quantitative easing was introduced in Japan in 2001 to try and overcome their deflationary recession. Quantitative easing was pursued by UK between 2008-2011. 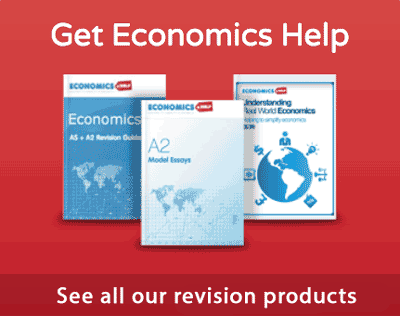 Some economists argue that quantitative easing can work in cases of a deflationary trap. In particular, it is important to change inflationary expectations from deflation to positive inflation. What happens when quantitative ends? There will come a point when the Central Bank reverse the policy of quantitative easing. They will sell the bonds they have accumulated on the bond market. This will cause interest rates to rise, and reduce the growth of the money supply. The policy will be reversed when the economy is sufficiently strong to cope with rising interest rates and a fall in bank cash reserves. Rubbish…Quantitative easing is an instrument to re-capitalise the private sector by governments paying of loans, in the hope the private sector will invest to generate a virtuous cycle of growth The reality has been the private sector bolstered its balance sheets, did not invest as expected and ultimately resulted in creasing share prices. 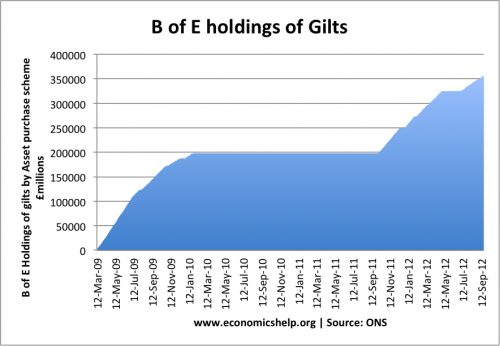 Its what allowed the rich to get richer, and the poor poorer, as governments transfred money to reduce their borrowings. Why are people not honest..its quite simple..
What might be true in theory is not always true in practice. However as in investing, sometimes a decision must be made and time reveals the results.